Kenn d'Oudney was born to an English family of tea and coconut planters in Sri Lanka. He received his education there and subsequently in England. His personal interests include reading non-fiction, and writing on the subject of Justice. He also enjoys composing, recording and playing music in a group. Since 1992, the d'Oudney family, Kenn, Joanna and Astra, have run the not-for-profit Democracy Defined Campaign. You can read about the Campaign, its aims and objectives on the DD website. Kenn d'Oudney is author of several published books of which the two shown below are available on Amazon. His essays and books have received the endorsement of cognoscenti and academics in the U.S., U.K. and Australia. See below. Kenn d'Oudney was born to an English family of tea and coconut planters in Sri Lanka. He received his education there and subsequently in England. His personal interests include reading non-fiction, and writing on the subject of Justice. He also enjoys composing, recording and playing music in a group. Since 1992, the d'Oudney family, Kenn, Joanna and Astra, have run the not-for-profit Democracy Defined Campaign. You can read about the Campaign, its aims and objectives on the DD website. Kenn d'Oudney is author of several published books of which the two shown below are available on Amazon. His essays and books have received the endorsement of cognoscenti and academics in the U.S., U.K. and Australia. See below. SOME REVIEWS OF THE ESSAYS ADAPTED FOR THIS BOOK. "Thank you for your excellent work on Magna Carta. What a masterly exposition." MAJOR JOHN GOURIET, Chairman, Defenders of the Realm; Battle for Britain Campaign supported by H.G. the Duke of Wellington; Edward Fox, OBE, and Frederick Forsyth, CBE. "I think it is certainly true that Keynesian economics, as put into practice, has handed the economic power of the West to a few men who now almost totally control it. Likewise, I agree that the trial by jury is an essential bulwark of democracy and justice against a bankers' tyranny. I congratulate you on disseminating the above points." "The d'Oudney analysis is as insightful as it is comprehensive. It will stand for years to come as the definitive critique of the European Constitution prepared by Giscard d'Estaing and others. I look forward to sharing the d'Oudney analysis with my colleagues." HOWARD PHILIPS, Founder, U.S. Constitution Party, three-time Presidential nominee; Chairman of the Conservative Caucus. "Superb. Should be read in every law school." Author; Constitutional lawyer (U.S. & Australia). 266 pages. Large size Paperback 8½" x 11". "Great songs that stay in your mind. Fascinating and moving lyrics, versatility of style." Nicholas Pirson, D.J., Radio Panach France. "Astra is a virtuoso lead guitarist." Laurence Jackson, Journalist, London, England. 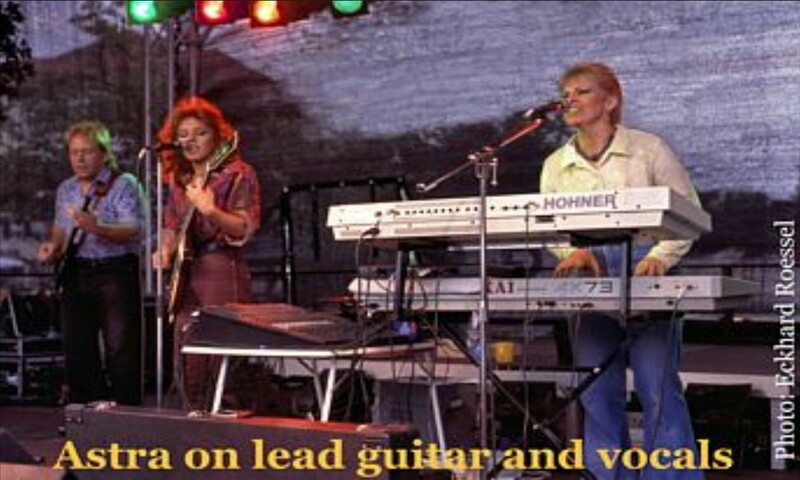 "Astra plays supremely good lead guitar. Harmonic-melodic music with irresistible rhythm - a real pleasure to listen to." Christa Neckermann, Journalist, Bremen, Germany. "I am very impressed by the high level of musicianship." Gareth Leslie, Singer/Guitarist, Recording Artist. "Astra has an outstanding voice." Ralf Sommermann, Dissen Skurril Stadtfest, Germany. 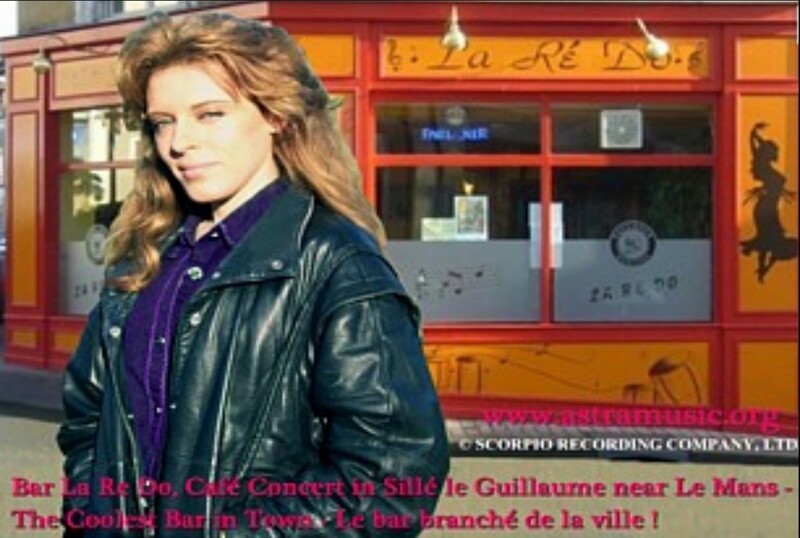 "How could one not feel moved on hearing Astra's bewitching solos. All put together just right with jazzy-rock ingredients and touches of folk." Pascal Isch, L'Est Républicain. France. "A colourful tapestry of sound. Great music." Wulf Görres, owner, MacLeod's Live Music Club & drummer with the Iain Cusick Band, Drochtersen, Germany. "Very enjoyable; lots of rhythm, melody, harmony and élan." Peter Koetzing, Harsefeld Aktuell, Germany. "Just a few bars into the first song, and the audience in the Rössl Live Music Club could not resist moving to the rhythm." Hauke Mormann, Journalist, Brunsbütteler Rundschau, Germany. "The audience was bewitched. The concert promoter had concocted a mystifying potion: rock, pop, ballads, and mood music. " 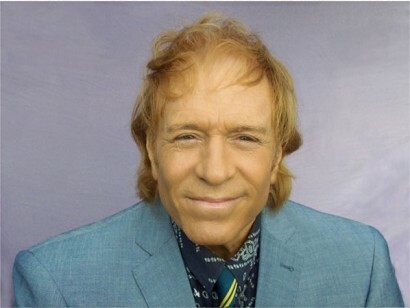 Grégory Engelbert, Le Républicain Lorrain, France. "Hi Kenn: What a magnificent article! (Madison and Democracy) I intend to incorporate parts of it into my speeches and writings." PROFESSOR JULIAN HEICKLEN, Jury Rights Activist; U.S. National Coordinator, Tyranny Fighters. "Kenn d'Oudney is a brilliant writer and researcher when it comes to Democracy and Trial by Jury. The best source of common law is Kenn d'Oudney." Co-Founder & Chairman, Australian Common Law Party. "Thanks, Kenn. I've circulated this." SIMON RICHARDS, Campaign Director; The Freedom Association; Founded by John Gouriet; the Viscount de L'Isle, VC, KG, PC; Ross McWhirter and Norris McWhirter, CBE. "Your book is an absolute triumph! I now understand why the term 'Lawful Rebellion' grates with you. I genuinely believe that your book should be compulsory reading for every one of our elected representatives... not to mention our own supporters! So well done! Excellent book and a great source of reference." JUSTIN WALKER, Campaign Co-ordinator, British Constitution Group. "I bought a copy of your excellent book from Amazon and I am impressed by both size and content. Frankly I haven't been able to put it down. Every home should have one and not just every law school but every secondary school should have one in its curriculum. I particularly enjoyed the 'Traitors to the People' chapter. The whole book is a fascinating read, well done." "I am SO pleased that I've read this compelling book and that I now understand the true meaning of "Democracy." Although it's certainly not a novel, I found it as gripping as one. I had trouble putting it down. DEMOCRACY DEFINED: The Manifesto has opened my awareness dramatically." 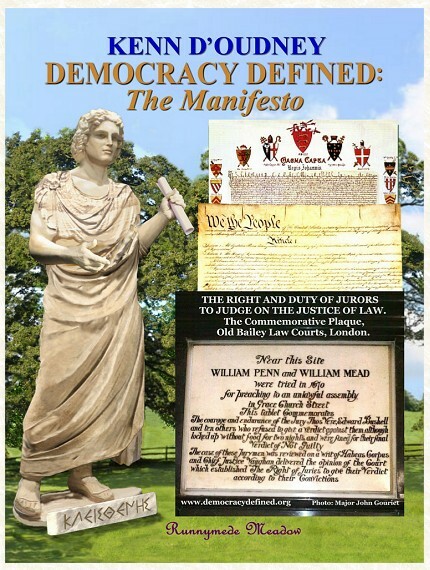 "The Handbook for every person on the planet explaining True Law and Democracy." "Excellent and well-written book on how the people in the so-called free world are not free. This is the missing education they should be teaching our children in school so they become enlightened on what's really going on in the world." ROBERT JOHN MONTAGUE, Amazon reviewer. SO, YOU THINK YOU KNOW WHAT 'DEMOCRACY' MEANS? The word 'democracy' is widely abused and 'defined' incorrectly. Kenn d'Oudney's book explains exactly what the word democracy really implies. It demonstrates just how illegal the current situation is, adversely affecting the lives and livelihood of nearly all men and women today. 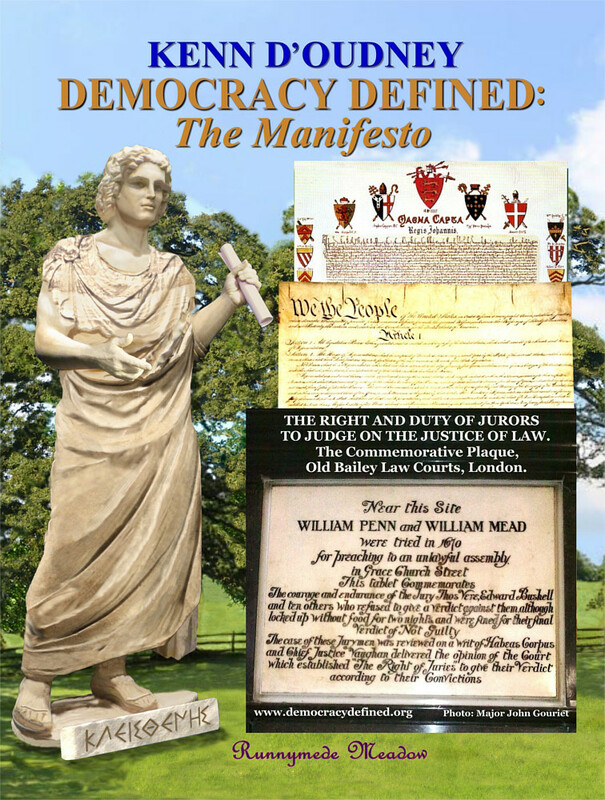 DEMOCRACY DEFINED: The Manifesto has been extensively researched and is an eye-opener on how the repression of definitive democracy leads to a variety of far-reaching deleterious effects, including political assassinations; fraudulent banking practices; and the unconstitutional denial of national issuance of interest-free currency and credit. The book also exposes the Ætiology of Anti-Semitism. The contents of DEMOCRACY DEFINED: The Manifesto are enriched by the fascinating quoted wisdom and words of great minds-Churchill, Gibbon, Hale, Hallam, Hume, Blackstone, Crabbe, Millar, Mackintosh, Gilbert, Palgrave, Coke et al., chief justices, judges, Benjamin Franklin, Presidents Kennedy, Roosevelt, Adams, Jefferson, Madison, Washington, Lincoln. This book is enlightening-it reveals in irrefutable detail how far the modern political establishment and justice system have strayed from the prescribed lawful modus operandi. While establishing evidence for the legal case against governments' statism, THE MANIFESTO also gives readers inspiration and hope by showing how it is easily possible to reverse the decline and make mankind's ideal society achievable: the best of all possible worlds. By going to Amazon on either of the links above and clicking on the 'Look Inside' feature, you can check the four Contents' pages to see subject matter; and one can get a small glimpse of the text. NOBEL LAUREATE PROFESSOR MILTON FRIEDMAN, former Economics' Adviser to U.S. government; Author, video and TV series writer and presenter; Senior Research Fellow, Hoover Institution on War, Revolution and Peace; Professor Emeritus, University of Chicago. "You represent a worthy part of the fight in many countries for the logical and beneficial use of cannabis. I thank you for that." PROFESSOR PATRICK D. WALL, MD, Author; Professor of Physiology, UMDS St. Thomas's (Teaching) Hospital, London; Fellow of the Royal Society; DM, FRCP. "You are to be congratulated on a work well done. Very readable. It is an important REPORT and I do hope it will be widely distributed and read." PROFESSOR LESTER GRINSPOON, MD, Official Adviser on Drugs to U.S. government (Clinton Administration), Professor of Psychiatry, Harvard University School of Medicine. "The sections dealing with the rights and responsibilities of the jury are eloquent in their defence of fundamental individual rights. The authors correctly perceive the bedrock importance of trial by jury, and the significance of the jury's right to judge the law itself. I welcome the addition of this REPORT to the world's store of important writings on the subject of human liberty." DON DOIG, BSc., Author; U.S. National Coordinator, Co-founder, Fully Informed Jury Association (FIJA) / American Jury Institute. "I did enjoy reading it. THE REPORT should contribute much." THE HON. JONATHON PORRITT, Bt., former Adviser to U.K. government on Environment; Author; Founder, Friends of the Earth; TV series writer and presenter. "I am totally amazed at THE REPORT's quality and overall goodness." DR. ANNE BIEZANEK, Authoress; ChB, BSc, MB, MFHom. 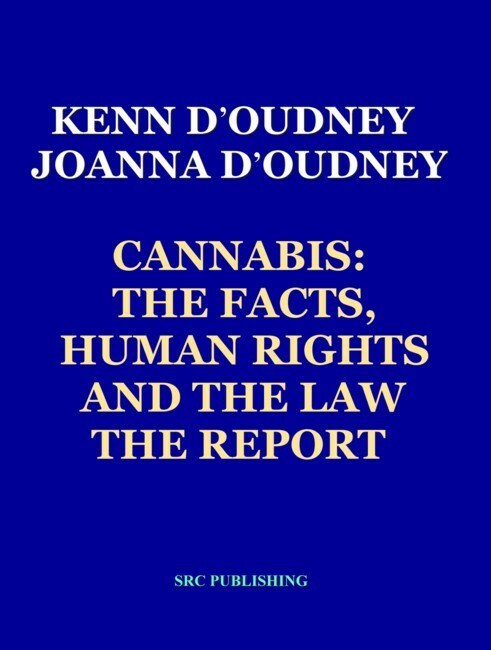 "Kenn: I have just finished reading your and Joanna's book on Cannabis. It is a masterpiece on both drug prohibition and jury rights. Thanks to both of you for writing it." SO YOU THINK CANNABIS / MARIJUANA PROHIBITION HAS NO EFFECT UPON YOU ? THE REPORT is comprised of Seven Parts and gives an in-depth analysis of all the various aspects and uses of cannabis. Amongst other issues covered, THE REPORT contains the unprecedented (new) CANNABIS BIOMASS ENERGY EQUATION (CBEE). It proves the cannabis crop by-product, PYROLYTIC CH3OH methanol, offers the immediately available total world replacement for fossils and uranium. Such macro-cultivation simultaneously increases world production of protein-rich staple seed food (no relaxant in seed). THE REPORT establishes the inadequacies of THC-free so-called "industrial hemp" by comparison with the full-blooded large sativas. The CBEE FORMULATION proffers production-cost-free (i.e., FREE) CH3OH oil-gasoline-type fuel for all power-station, industrial, land, sea and air transportation and domestic energy supply, with ZERO net atmospheric increase of CO2. The CBEE exposes monumental ulterior motive behind marijuana 'prohibition'; a bankowner-corporate-government subterfuge; a false fuel-energy monopoly. The CBEE demonstrates governments' mendacity in their claims to wish to reduce carbon emissions, and proves "carbon tax" to be a fraudulent government imposture. Part Six of THE REPORT, PROHIBITION: THE PROGENITOR OF CRIME. "To cause crime to occur is to be accountable for the crime, morally and legally. To consent to any measure is to share responsibility for its results." Legalised, cannabis grows anywhere: the benign herb's foliage and flowers come free or at an insignificant price, but yielding no revenues to government and no profits to corporations. However, prohibition creates the Black Market: the Economic Effects of Prohibition (scarcity + enforcement, etc.) augment "street" value by 3000% plus, making all Black Market associated crime inevitable. The political commodities' prohibition, the War on Drugs, or that is to say, the politicians who pass and the judiciaries who maintain the legislation are culpable for the engenderment of a significant proportion of all crimes throughout the West (official statistics). THE REPORT collates the medico-scientific empirical Findings of Fact and Conclusions of the government-funded clinical studies conducted by world-respected research and academic institutions into non-toxic, non-addictive benign natural herb cannabis (differentiated from pharmaceutical laboratory toxic product THC). The investigations' evidence exonerates cannabis from all allegations of 'harm' and 'impairment' (including tests on simulated driving), exempting cannabis from all legislative criteria of control ('prohibition'). THE REPORT investigates THC and other sources of the ongoing fabricated derogation of cannabis. Six Parts (chapters) include expert documentary, legal, academic, scientific, technical, medical, economic, social, criminological, philosophical evidence, and that which is based on grounds of equity, vindicating all private cultivation, trade, possession and use, and which further exposes perjury and venality behind prohibition 'legislation', all acts of enforcement constituting crime per se. Part Seven, RESTORATION: JUSTICE AND THE CONSTITUTION, exposes corruption, ineptitude and injustice in the justice process; examines Law: natural law, supreme secular legem terræ Constitutional common law, treaties, statutes; quotes presidents, judges, lawyers and chief justices. PROFESSOR PATRICK D. WALL, M.D., Author; Professor of Physiology, UMDS St. Thomas's (Teaching) Hospital, London; Fellow of the Royal Society; DM, FRCP. 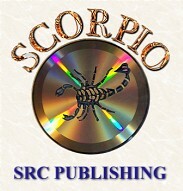 © COPYRIGHTS to all materials, written, audio, video and pictorial, on this website, held variously and/or jointly by The Owners, ASTRA and/or SCORPIO RECORDING COMPANY, LTD. All rights reserved.